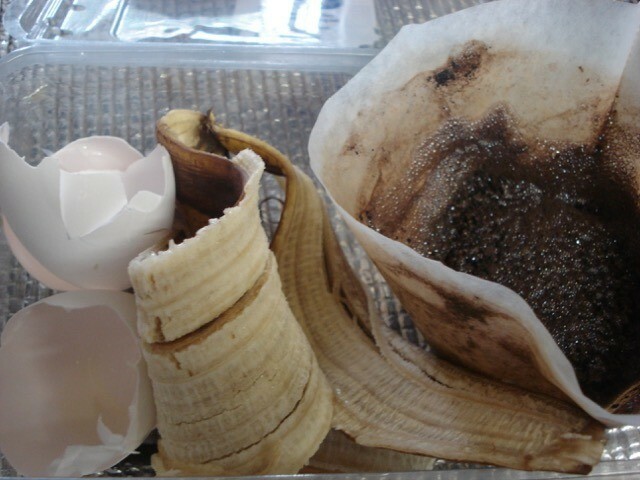 Don't throw out your eggshells, banana peels, or used coffee grounds. Use them to feed your plants! Just cut the peels into small pieces and crush the eggshells with the bottom of a mug. Mix all of them together then spoon into your flower pots. You can also put the mix directly into the ground where your plants are growing. 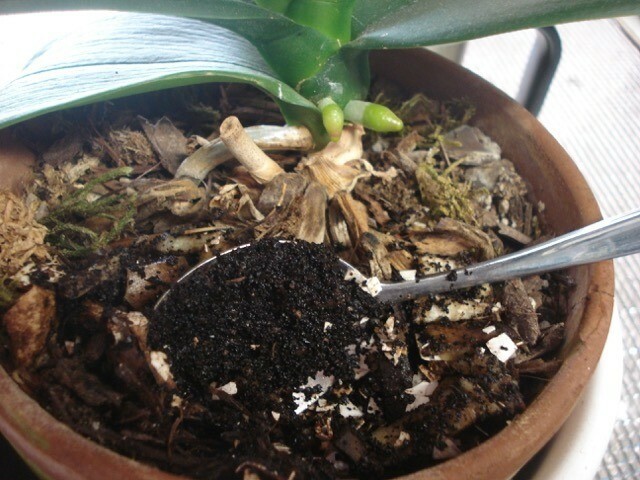 Simply dig a small hole far from the plant and spoon in your mixture, trying not to touch the plant root. Cover with soil and water as you normally would. Roses love banana peels and melon skins, they have a good amount of potassium. I put them in my compost bin. I stopped growing roses years ago because they are prone to so many pests and diseases. Well, I've started growing a few, again. I didn't know the rose's need for extra K. I'll save my banana skins just for them. Plant a clove of garlic by them. It helps keep off the aphids (and uses up the small fiddly ones ). 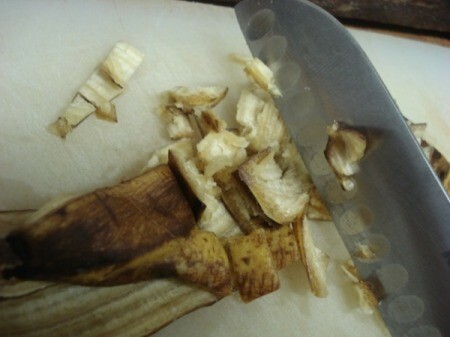 All those kitchen scraps smell like, well, garbage. Not a bad thing, but not something I want in my house (to say nothing of attracting fruit flies). 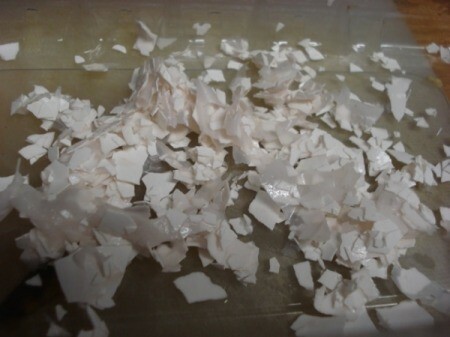 Those same lovely scraps, however, when chopped in the blender, with water, make great food for outdoor plants. I bought a thrift store blender that I keep beside my sink. As I accumulate non-meat food scraps throughout the day, they all get tossed into the blender. 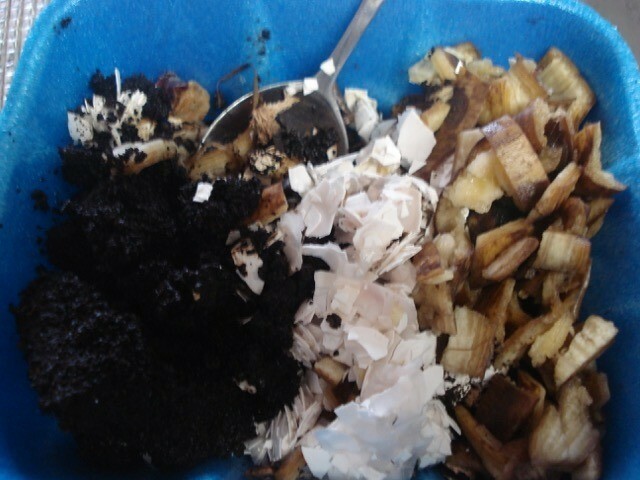 At the end of the day, I add a cup or so of water, cover, and purée the scraps. Pour into container gardens, regular gardens, shrub beds, etc. Thd food particles are so well broken down, there is no odor at all, and the nutrients provide excellent fertilizer for the plants. I've never ever had a problem with bugs from this practice, either! I tried this but now I see fuzzy white covering on the soil around my house plants. What should I do?